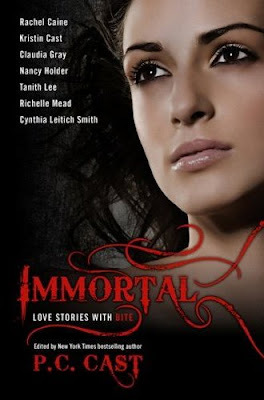 I believe the Immortal anthology was originally planned for release last year and is now set to hit stores in October according to the publishers website. The collection has a great lineup of YA authors. First I have to say that cover is great because the models eyes are just beautiful. Second, I love anthologies like this because I almost always find a "new to me" series to start reading. Elizabeth anthologies are great for that. I want this because it has a terrific line-up of A-list YA authors.